Eficode opened its Amsterdam office in autumn 2018 and Jari Litmanen came to celebrate. Alexander Elhorst, Eficode's Agile and Culture Coach, writes about how Jari Litmanen's wisdom on teamwork has more in common with devops and agile principles than meets the eye. When Jari Litmanen joined Ajax in 1992, he had one year to get used to his new team. One year to become one of the main players and steal the spotlight. This is something Eficodeans — Devops specialists that work at Eficode — understand very well. Digital transformation is not a decision but a process that takes time to become part of the culture of a company. And, just like playing in Ajax, Devops requires constant adjustment; a digital transformation is never really completed. There may be some superstars, but the superstars wouldn’t exist without their commitment to teamwork. 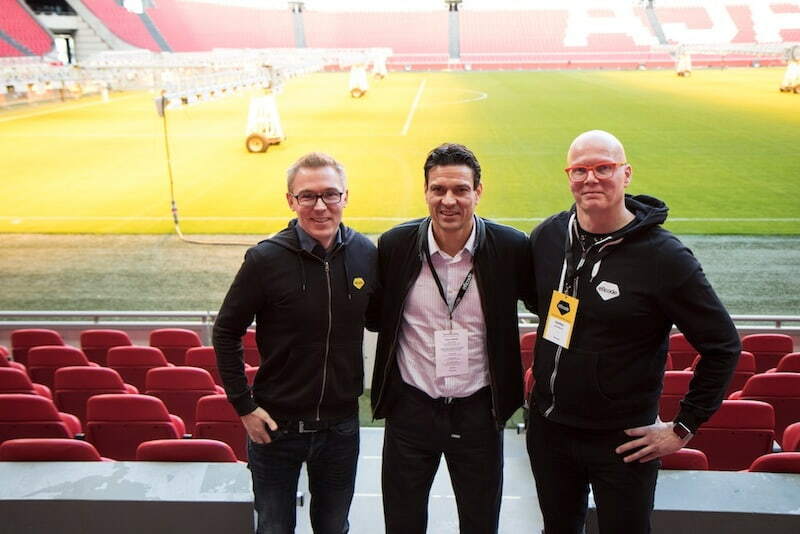 Jari Litmanen heralded the opening of Eficode’s Amsterdam office in the Arena (a.k.a. the Ajax Stadium) in autumn 2018. Jari, the most famous Finn to ever move to Holland, shared his wisdom with us. Because Eficode is dreaming big in Benelux. Eficode has a lot in common with successful sports clubs like Ajax. Everything we accomplish, we accomplish as a team and when we work as a team we can achieve anything before overtime. As for me, I’m a not-so-famous Dutch guy who moved to Finland from Holland four years ago to work as an Agile and Culture Coach at Eficode and the software-driven companies we work with. My name’s Alexander. But let's get back to Jari! At the launch of Eficode’s Amsterdam office, André Sibov, Eficode’s Benelux Country Manager and someone who’s seen a lot of Dutch software development companies, interviewed Jari Litmanen about his childhood and his time with Ajax. There was a recurring theme in the answers given by Jari. Often he referred to team work being a key factor in success. Secretly, I wished I was up there interviewing Jari. But then I put my Culture Coach hat on: “Trust in our colleagues and their abilities,” is one of those team traits that are the foundation of any successful business. Even if it means swallowing your pride sometimes! Jari is also asked about his talents playing hockey. Everyone was nodding, but I think some people had the wrong end of the hockey stick! What my Finnish colleagues don’t know is that when you say the word ‘hockey’ and leave out the ice, Dutch people will believe you are speaking about field hockey. There’s a reason Culture is the first word of CAMS, it creeps up everywhere! But for great teamwork and great digital transformation you need coaches that can give you both technical and cultural advice. Where Jari Litmanen helped coach teams and individual players, Devops and Agile coaches can help transform the way you create new business opportunities. Jari named several properties of winning teams. He didn’t state that those teams are to be football teams and he is right not to, since they are valid across the board. Working hard with a clear goal as a team with respect for one another and each other's knowledge is more important than having a couple of key starting players. As Agile coach I agree completely and I'm passionate about seeing that transformation happen within people, teams, and organisations. There were many other speakers that took the podium after Jari, including: Patrice van der Heiden, General Manager at the Finnish Dutch Chamber of Commerce; Ger Baron, the CTO of the city of Amsterdam; Ari Lemmke, one of the fathers of Linux and a self-proclaimed nerd; Henry Peyret Principal Analyst at Forrester; Risto Virkkala, Eficode’s CEO; Tuomas Keränen told us more about Eficode’s Root Devops Platform and Feico Mol Head of EMEA Channels at Atlassian and Erikjan Franssen VP EMEA at Vertica gave us their thoughts too. After all that, it’s time to mingle with our guests, have a drink and make connections that could lead to future partnerships. Because that is how Eficode sees its customers: as partners for long-term cooperation and collaboration. We’re ready to bring world-class Devops skills to a new market just as Jari brought his good hair and great football skills to European football. Are you an IT talent or a company who wants to improve that time to market? You can find us in Amsterdam! And in Helsinki at DEVOPS 2018, Europe’s leading Devops conference, December 13-14. Maybe Jari will be on your flight from Amsterdam to Helsinki, that happened to one of our Eficodeans a couple of years ago! Fancy working in our Amsterdam office? Look no further than our open application form. 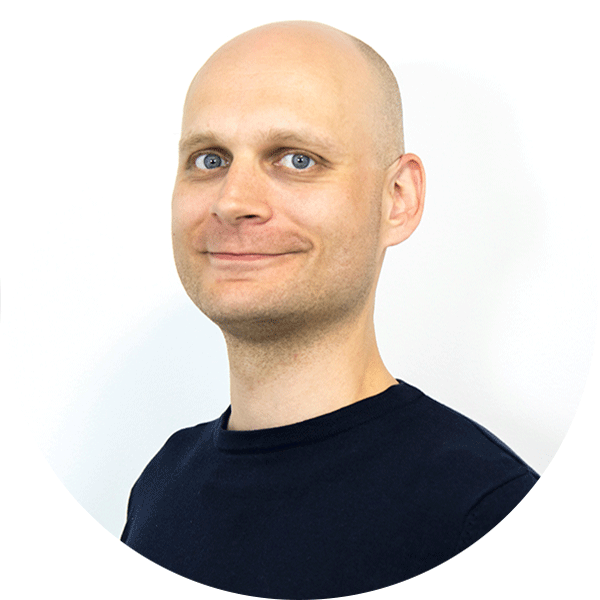 Alexander has worked as Agile Coach, Scrum Master, Business Analyst and IT Architect but also as Cabin Crew and Retail Sales team member. He is interested in new technologies but also in history, psychology and politics.